We are living in a world that offers us limitless ways to fulfill our needs and desires. We can get busy every second of the day working on different projects in business or private life. The boundaries between private life and work became extremely flexible. The life concepts look very often like bundles of different jobs to generate income to pay bills for a more or less comfortable life. We have limitless access to information via a computer or cellphone. E-mail and social media allow us to stay connected with others 24/7. We are busy. Our mind is busy. However, although we have those vast options and possibilities to choose from and fulfill ourselves, do we really accomplish what we want to and what is good for our loved ones and for ourselves? Did you ever wonder how the luminaries in the former centuries as e.g. 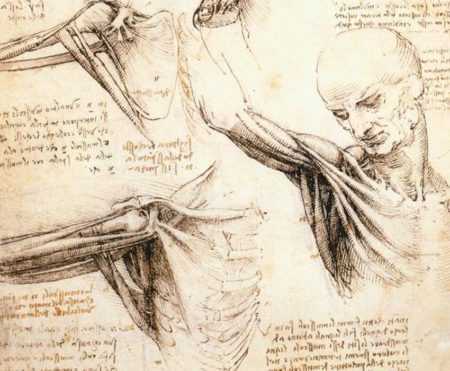 Leonardo DaVinci could accomplish what they have accomplished? 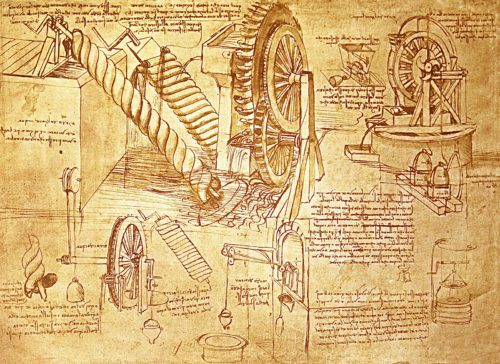 Leonardo DaVinci left with us a treasure of ideas, insights, artistic work and inventions, which were way ahead of his lifetime. What do you think, how had he mastered the time to do all of his amazing work? Proper time schedule? Outsourcing? Great organizer app? Just kidding. Or maybe was Leonardo a multitasker? I’m pretty sure that none of those answers applies. In our time every minute, if fact, even every second counts! We are trained to perform, to be efficient, to be goal-oriented and to be successful! Our values are oriented towards success. We invest most of our time into our work. There are different definitions of success. However, mostly we define success along with our possessions like having money and other properties, generating good income, having a good job or business. And for many people, especially women, also having a well-functioning family life, going on holidays and having exciting leisure. Do you wonder why so many of us end up with a burnout syndrome, depression, and addictions instead of extraordinary accomplishments and happy life? There are many fear-based problems in our society. But, the number one enemy of great accomplishments in our time is the distraction! I’m very fortunate never got into using a smartphone a lot, like applying it for communication and social media. I still use my cellphone to call or text only. What about you? Do you check your smartphone display every few minutes? When I started to train students to do research and to develop their own scientific projects at the end of the 1990s, there weren’t any cellphones on student’s desks. During the first decade of 2000, I gave classes at a university for study beginners to support them in organizing their time and in methods to improve their scientific skills. I remember seeing only a few cell phones on student’s desks. Mainly I trained groups of 25-30 people. 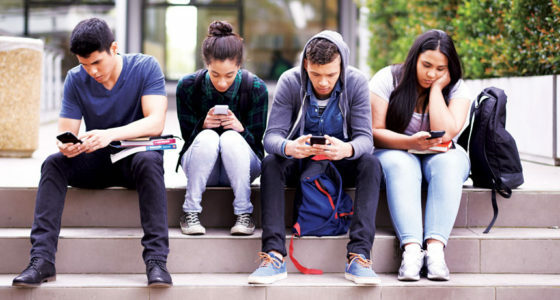 Only five years later in similar classes, there were only a few desks without a smartphone, and I observed that many students developed a habit of checking their cell phones every minute or every few minutes. In my time management classes students often reported spending up to 8 hours daily on their cellphone chatting on social media channels. After they calculated how they spend their time, they started to understand why they cannot accomplish either their study goals nor any other goals they had. Do you think that constant usage of the smartphone is trivial and doesn’t have an impact on your brain? No, it does have a serious impact! What do you think how much time does a short interruption in a focused, intense work cost? When you, for example, are working intensely, focusing on writing or reading a good article and your smartphone is making a sound. You turn around and check the display for an incoming message. How much time can take you doing that? A study of the University of California, Irvine about the “nature of fragmented work” found out that it takes in average about 20 minutes to go back to the state where you interrupted your activity. Are you surprised? One glimpse to the display can cost you about 20 minutes of your day. How often do you check your smartphone, while working?? The smartphone is only one source of distraction supported by the since decades promoted idea that we can perform multitasking. Since the 1960s the neuroscientists has been searching for ways how to improve the performance of the brain. The idea of multitasking was released into the society and gratefully absorbed and utilized by employers in the working world. Does multitasking exist? The answer is simple. No. We can perform different tasks simultaneously using different areas of the brain like for example washing dishes and singing a song or watching a movie and caress a cat at one time. 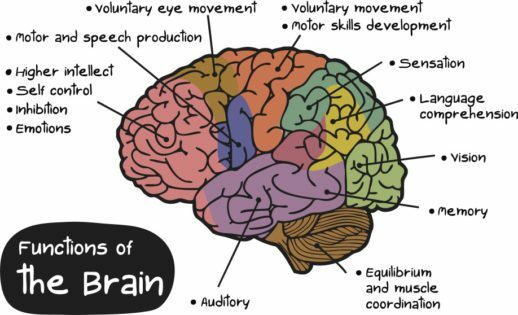 To perform and combine those activities we use different areas of the brain: the prefrontal cortex and the sensorimotor cortex what means involving both sensory and motor functions or pathways for the activity. The first named part of the brain is responsible for thinking, the second part is responsible for collecting information from our senses and perform activities and movements. In fact, multitasking is a myth. Our brain isn’t able to perform two tasks that require high-level brain performance at once. That means that our brain cannot perform two or more tasks where you have to think about it! How does it work when you are performing that so-called multitasking? Let us stay with the example of writing or reading an article while you just received a message via a smartphone: You are shifting your focus from writing or reading the article to reading and processing a text you received. The message can be trivial, urgent or annoying what also has an impact on the time you spend with it processing it. After you have read the text, you will shift your focus and try to go back to writing or reading, or you will continue thinking about the message, trying continuing on your former task. Every shift of focus/attention requires a lot of energy. If your focus is on writing an article reading a smartphone text is a distraction causing costs of time and your energy. Many distractions come from your environment. But you can get even more distracted by anything that is going on in your own mind. Mentally reminders about mailing a letter, buying groceries or calling back your friend are more hidden but very serious distractions. After only three or four distractions while trying focusing on your task, we start to feel tired and our motivation to continue working sinks rapidly. The task often becomes tough, and we often take a break or quit doing and/or postpone finishing the task. The most energy the brain uses for high-performance-tasks like learning new things, taking a decision, planning, setting goals, prioritizing or any task envisioned and projected into the future. Did you ever notice that when you feel tired it gets really hard to decide even about the simplest thing? Effectiveness Is When You Focus On One Thing At a Time! Do you wonder why we hold still tight to the myth of multitasking though it is known that it doesn’t work? How would you answer that question? 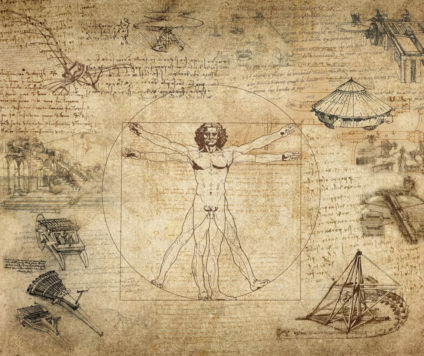 So back to the question of how was it possible for Leonardo to feature all those great ideas, deep insights, and inventions? In the state of Flow you will find yourself at the edge of new realm of learning and creation. You will be able to re-connect the information that was already collected in your brain in a completely new way. This supports you to create new ideas and new results. Quiet your mind and – if you desire – you can create a new life for you. 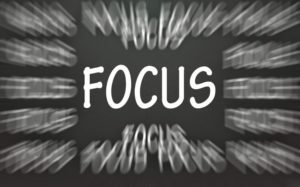 Would you like to have a better focus and concentration? Would you like to awake your creativity? Yes? Please, follow me in the next part of the blog. In this blog, my goal was to bring to your attention that frequent distraction and such a common activity in our society as using a smartphone, can cut down an significant piece of your peace, your creativity, efficiency, and your productivity. Where do you feel resonance looking towards to how do you handle distractions of focus, and especially interruptions caused by a smartphone? Looking Forward to Meditate With You! In the following blog, I would love to introduce to you some wonderful mental tools and meditation methods. Some of them are supported by the brainwave technology. I tried many different meditation approaches on my path to gain more of a beautiful and peaceful clarity of my mind. All of those meditation ways supported me on certain stages in my personal growth. Step-by-step I successfully improved and balance my own mind; what does also mean I improved and balanced the frequency of my mind and the neurological activity of the brain. 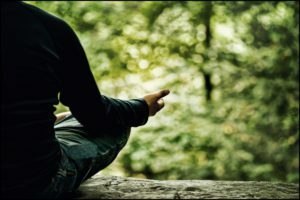 Meditation also opened in me the energy channels, allowing me to connect my mind with my heart and my spiritual way. I invite you to utilize my experience, to use a way to meditate that suits you the best, and to smooth and balance your desire to communicate with the world, quiet the chatter in your mind and improve your focus and persistence. Continue reading here. Thank you for taking the time and reading my post! I hope you enjoyed it and the content was benefiting you. I would love to read your comment and learn more about your personal experience with chatter in the mind, distractions, frustrations and what strategy you use to cope with it. Please, let me know if you have any questions or how I can support you! I’m here to serve you! This entry was posted in Distraction & Multitasking, Mental Methods, Mindfulness.